Medical doctor, specialist in dermatology and venerology. A member of the Polish Dermatological Society (PTD). Over the past 2 decades she has become a leader in the field of laser therapy and treatment of skin and venereal diseases, as well as in aesthetic dermatology. Received her specialisation in dermatology and venereology from the Clinic of Dermatology at the Medical University in Warsaw. Since 2000 she has been practising and mastering laser therapy, procedural dermatology and aesthetic medicine. 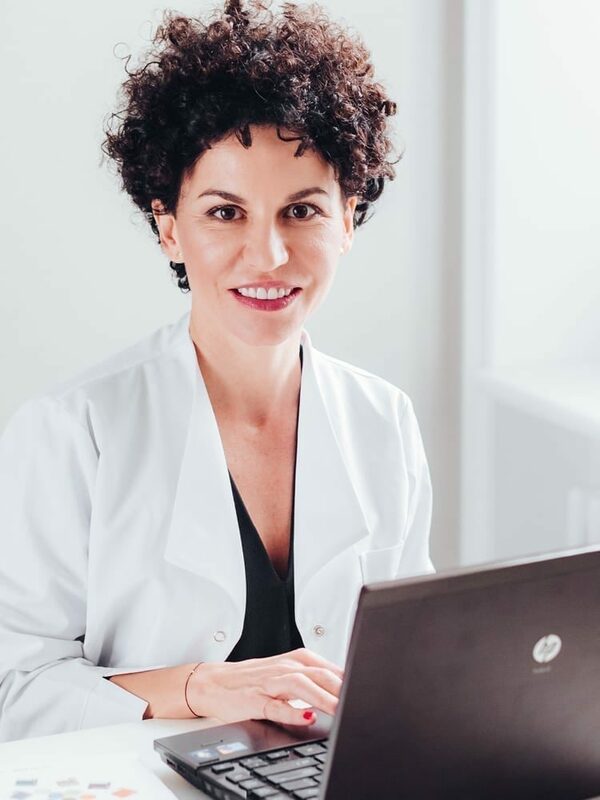 In her own DERMEA clinic that she has been running with great commitment for the last ten years, Dr. Stanković helps patients with various skin issues, be it medical or aesthetic, applying the latest techniques and technology in dermatology and aesthetic medicine. She has been constantly improving her qualifications by taking part in numerous national and international conferences and courses. She continually seeks new therapeutic solutions to ensure the best and most advanced care for her patients. Her experience, professionalism and precision, as well as great sense of aesthetics, have been well appreciated in the community, making her the go-to dermatology and skincare specialist in the media. She is also an expert for various international brands in dermocosmetics. She often appears in women’s magazines and TV programmes, sharing her specialist expertise and experience. Privately, Dr. Stanković is a mother of two fabulous daughters, fan of New York, and is proud of her Balkan roots.